The physical center of Stockholm is the Stortorget Square. 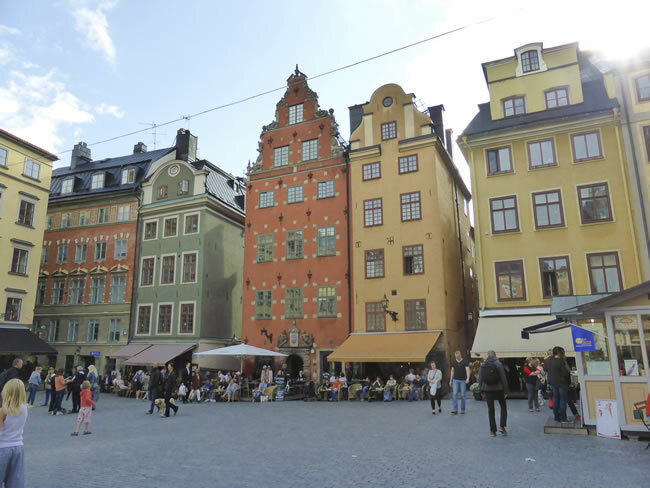 It is a small public square in Gamla Stan and the oldest square in Stockholm. The red building was built in the 1400s and is called Schantzka House. It is unusual in that it has 82 white stones that were added to the outside in 1628.